The Crow and the Powderpuff | A Creative Makeup & Beauty Blog: Glamour Doll Eyes - May Raffle - Chance to win their Entire Collection! Glamour Doll Eyes - May Raffle - Chance to win their Entire Collection! 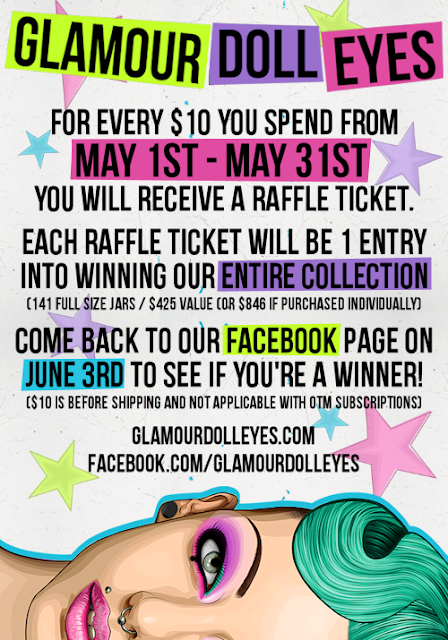 So Glamour Doll Eyes is doing an amazing Raffle during the month of May for a chance to win their Entire Collection, Definitely worth checking out if you've been wanting to order something!